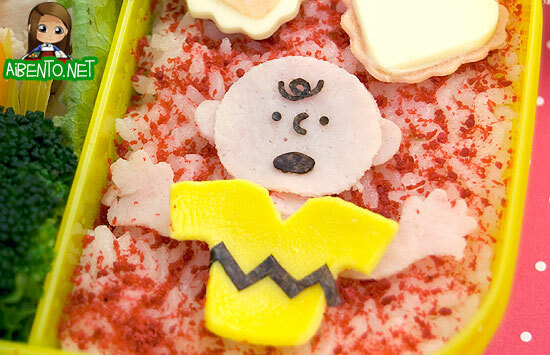 Last night I turned on the TV and A Charlie Brown Valentine was on, so the kids watched it and I boggled over how depressing that poor kid is. I don’t know why Zoloft chose that little white rock for their mascot when Charlie Brown is a perfect fit. Though, ol’ Chuck getting passed over is probably typical for such a downer like him. He was seriously the original emo kid. I’d have put a little red-haired girl next to him, but you know he’d never have the guts to talk to her. We’ll just pretend the two valentines above his head are for him and not ones that he will try and fail to deliver. The hana ebi looks kind of odd, doesn’t it? I should have brought some nori to eat with it too. On the left side I have Costco chicken, asparagus, broccoli, a sliced cutie, and strawberry halves. The valentines are made out of cheese and egg omelet. The outer heart was cut with Wilton Crinkle Shape Cut-Outs and this set includes the round cutter that you could use to make Bakerella cupcake pops. Here’s a closer look at Chuck. I used three different punches for his face. I used two mini smiles and one smiling eye for his hair curl, two eyes from the mini smile, and a big oval eye from my big emoji punch. I cut his strip with a scissors and cut his shirt out with a cutter I have. The hands turned out terrible and I really should have just cut his shirt out with a printout, but oh well. His shirt is made out of egg omelet. I’ve got two more boxes added to my Docubentory. 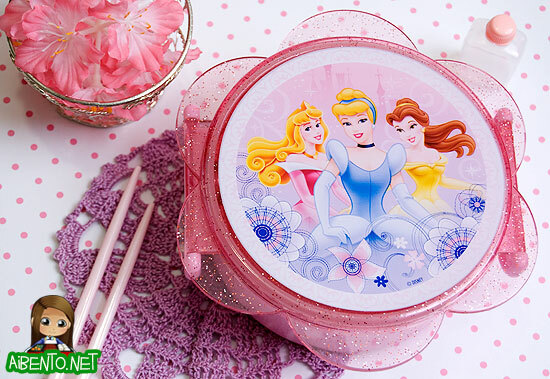 These two have only been used once, but I just bought this Disney Princess Bento Box from Amazon last month. It was $2.50 when I bought it but it’s now only $1.99, so it’s a great deal for a little box! 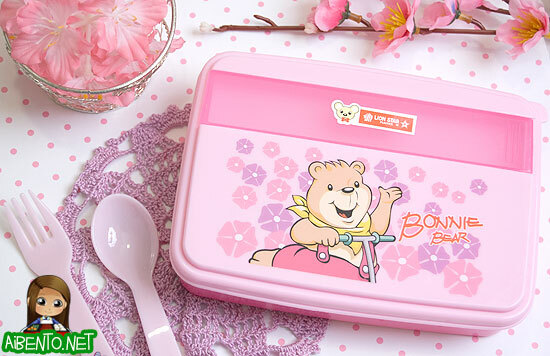 You might remember it from my screaming charaben bunnies bento. 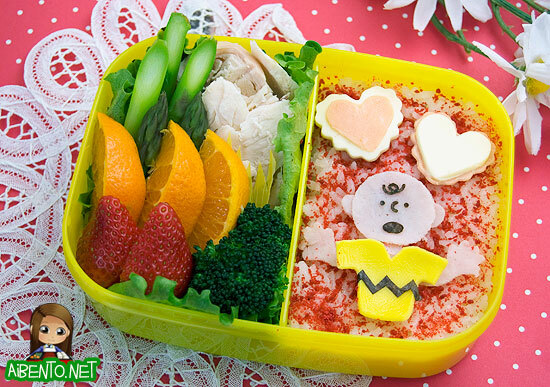 🙂 I should probably do a Chinese New Year bento, but I have to do some kind of Valentine’s Day bento for Mr. Pikko, so maybe I can swing both, we’ll see.